A familiar story for Spain. Good ball retention, a struggle until Torres departs, and Villa saves the day, scoring in a 1-0 win. That could quite easily be a description of their previous game, against Portugal. Spain lined up with their usual lopsided 4-2-3-1 formation and the expected XI, whilst Paraguay made six – yes, six – changes to the side that scraped through against Japan in the previous round. Spain started with a different shape to the one depicted on the diagram on the left. Andres Iniesta began the game on the left rather than the right, which meant David Villa played centrally and Fernando Torres worked the right-hand side channel. This only lasted for a quarter of an hour, however, before Spain returned to the shape shown. Paraguay’s formation was a fairly standard 4-4-2. Their midfield and defence played very narrow – trying to replicate Switzerland’s successful approach – and Spain rarely looked to stretch them by playing down the flanks. Interestingly, whereas most of Spain’s opponents have deployed their midfield very deep to pick up Xavi and Iniesta, Paraguay were reasonably happy to give those two space between the lines, and instead attempted to cut off the supply to them. Therefore, they looked to press Sergio Busquets and Xabi Alonso far more than Spain are used to, hence their noticeably wayward passing throughout the opening period of the game. The one player who did look threatening was Sergio Ramos, who had a lot of space at right-back, but he created little of note. Iniesta saw more of the ball when he stayed in wide positions, whilst Alonso started to drop deeper than Busquets in order to buy some time in possession. Paraguay’s approach was uncomplicated – defend solidly, press in midfield, leave the attacking to the two forwards. Nelson Valdez and Oscar Cardozo stayed central and had few defensive responsibilities, though they did look to close down Carles Puyol and Gerard Pique from goal-kicks, meaning Spain weren’t able to play out from the back. Spain’s main problem was again Torres – seemingly lacking in both fitness and confidence. Balls slid into the channels saw him lose out to defenders in terms of both pace and strength (an underrated feature of his game), although on a couple of occasions this was equally the fault of the passer – Xavi noticeably overhitting one through-ball. The secondary problem (or, a related problem, if you like) was again a lack of width. Iniesta played so centrally that Spain often looked like they were playing a narrow ’square’ of four central midfielders, and though Ramos was constantly free, they weren’t able to stretch Paraguay’s defence enough, with the inevitable conclusion that balls played through the centre of the pitch were often intercepted. A fairly stale first half came to an end at 0-0, and the first ten minutes of the second period were no more exciting. The inevitable withdrawal of Torres came on 55 minutes – although he was replaced by Cesc Fabregas, rather than Fernando Llorente (as happened against Portugal, with some success), or a wide player. Fabregas’ individual performance was reasonably good – he certainly contributed more than Torres, with driving runs from the centre of midfield, but the substitution actually worsened Spain’s problem. When Torres was on, they had two players looking to start in wide areas – Iniesta and Villa. With Villa going upfront and Fabregas deployed centrally, they were essentially just packing another player into a zone they were already overstocked in. Paraguay threatened on a slightly more consistent basis, mostly with balls over the top for Valdez. Spain played a high line, and both Pique and Puyol looked uncomfortable – despite them being used to this style of defence at Barcelona. Pique hasn’t looked himself throughout the tournament, and conceded a penalty for a ludicrous challenge from a corner. Cardozo – usually so reliable from the spot, as he’s shown for Benfica in the past year – failed to beat Iker Casillas. Spain got a penalty of their own seconds later when Villa was tripped – but Xabi Alonso also saw his (re-taken) penalty saved. The game was more stretched than in the first half, but the general pattern of play was the same. Spain only really stepped it up in the final 15 minutes, when Alonso was withdrawn and Spain, mercifully, had some natural width in Pedro. He stretched the play high up the pitch, forcing one of the full-backs out wide and creating gaps in the Paraguyan defence. He was also crucial in the eventual winner – Iniesta slipped past two challenges, laid the ball to Pedro, whose shot hit the post, before Villa just about converted the rebound. The goal didn’t necessarily demonstrate what Pedro was bringing to the side, but it was fitting that he was heavily involved, and his advanced position would not have been one taken up by another player if the substitution had not been made. Xavi dropped deeper and did Alonso’s job well, and Spain didn’t suffer from the departure of one of their central midfielders – they still kept the ball. And they did that for the rest of the game, apart from one chance that fell Roque Santa Cruz’s way. Tiki-taka involves talented, creative players but is as much a defensive tactic as it is an attacking one, argues Sid Lowe. Throughout this tournament, you’ve never been completely convinced Spain are going to take the lead, but once they do, you never think that they might lose it. It’s been the pattern of the game against Honduras, Chile, Portugal and now Paraguay. What is going on with Spain, then? Are they an impressive, unfussy side who are content to go 1-0 up and close out the game, or are they attempting to play a more exciting brand of football and not completely clicking? Your opinion on that decides whether you think they have been excellent, or slightly underwhelming so far. Either way, it probably doesn’t matter at this stage in the competition – two more boringish 1-0s will do them nicely. Still, Vicente del Bosque has selection and formation decisions to make ahead of the semi-final with Germany, and Spain have clearly been better when Torres hasn’t been involved. Maybe his presence in the side from the start is part of a more complex del Bosque plan about how Spain should win games – wear opponents down by keeping the play central and having the immediate Torres-Villa threat, before switching to wider, more fluid approach where Fabregas and Pedro/Silva/Navas can cause problems from different areas. It’s an approach often used by Jose Mourinho – at both Chelsea and Inter he’s often suddenly switched between 4-3-1-2 and 4-3-3 / 4-2-3-1 formations midway through games, both for attacking and defensive reasons (see here for an example against Chelsea in last season’s Champions League). Torres isn’t firing on all cylinders, but Spain have won the four games he has started, even if they’ve got the goals after his departure. His form would indicate he should be dropped, but maybe del Bosque thinks the alternatives to him are better used as impact subs. Hi. First post here I’m not so sure del Bosque has such an intricate plan. What was obvious last night is that Spain is better with Xavi in Alonso’s place in front of the defence. When Alonso was replaced it was like watching Barca play. Tend to agree. No fault of Alonso’s, but prefer Xavi in that deeper position alongside Busquets – who I think has been Spain’s best player so far. Edit: Apart from Villa. Doh. ZM, you have got to be kidding, busquets spain’s best player? better than villa? better than alonso? i’d say he’s on a par with torres. he’s the gareth barry of holding central midfielders , fairly immobile, not strong, not great in the tackle, average in the air … only he doesn’t have barry’s longer passing range. i’m sure you’d suggest he is positionally aware and disciplined, but spain’s lack of protection in front of the back four has been noticeable even against sides with next to no attacking ambition. i’m looking forward to him getting the run around from germany’s midfield, then finally the question of why on earth he is in this team, even in this squad, will finally get asked. whether or not spain need a purely defensive midfielder ( i think they could cope with alonso, xavi and fabregas as the three), busquets is not that man. You should do a stand-alone post on Busquets. The things he brings to a side are not obvious (not to me anyway, and not to Steve). In fact, I’d wager that 99% of Spain can’t explain why Busquets would get the start over Fabregas (assuming their commentators are as useless as ours). Sooooo….maybe you can give us some insight as to what we can look for in Busquets’ performance against Germany. Would make an already fascinating game even better! It’s hard to understand how people can’t see Busquets’ value. He’s easily been Spain’s most consistent midfielder, which is pretty amazing considering who his midfield mates are. Personally I’ve never understood why Del Bosque doesn’t just field Barcelona’s midfield, it’s not like Busquets hurt the club this season. ZM, maybe you could do an article focusing on different kinds of holding players, and in it defend Busquets. FFS! People are criticising his tackling; have they even been watching the games where his cover of both full-backs has been excellent – on at least two ocassions (in the Chile and Paraguay games)I’ve seen him atone for Sergio Ramos’ mistakes along the right flank with clean sliding tackles. Mobility: more mobile than G.Barry unless my eyes deceive me. Short-range passing: his ability here is better than that of Alonso. there is zero talk in Spain as to whether Busquets is denying Fabregas a starting place; rather, Alonso is seen as Del Bosque’s personal caprice (and what an indulgence, given that he is a superb player). Alonso cannot play alone in DM in demanding games. Busquets playing alone would allow you to field Cesc, Iniesta, Xavi…you name it. Busquets can play the sole defensive midfielder position, as Marcos Senna did in 2008. Alonso can’t do that (del Bosque tried that in the 2009 Confederations Cup loss to the USA). It’s frustrating that Alonso continues to play alongside him, when he’s really not needed, and limits what Spain can do. I’d say the Spanish midfield is Xavi/Busquets and two or three others, but Busquets is essential, even more so than Iniesta–the pretty play can’t come without clear cover in back. I don’t think he’s replaceable at this point. I am so glad you rate Busquets. There isn’t a more divisive player among my non-La Liga watching friends who just don’t understand his tremendous contribution. He’s an excellent player who allows for Barca/Espana’s free-flowing, offensive football. He’s gangly; seemingly awkward and wins a lot of free kicks from diving but he simply gets the job done, every week. Additionally, he doesn’t make the long passes because they’re playing offence on only half the field. Great player. I wouldn’t go as far as to say Busquets has been their best player but he certainly makes a vital contribution to Spain’s midfield. Their defensive frailty has come down to a lot of individual errors from the back four and goalkeeper. A midfield of Alonso, Xavi and Fabregas is almost completely lacking in defensive inclination. As far as him getting the run around from Germany’s midfield, who wouldn’t? They’re f***ing brilliant. I agree with what you said here. He’s not the fancy playmaker like Xavi or Alonso, but he is solid at the back, and he has good communication with his clubmates Puyol and Pique. I don’t think Alonso would be able to fill the DM spot like Busquets does because Busquets is good at the role due to his lack of flair and his simple passing style. I think the fact that Xavi and Alonso are both deep playmakers makes it hard for Busquets to have complete effect because he’s forced to move forward more often, so I’d like to see more of Fabregas or Iniesta instead of Alonso to venture forward more often and let Xavi stay back. and yes, I support Barcelona. Busquets is so focused and simple that it’s easy to overlook how fundamental these qualities are to a side. If anything, having this kind of player raises a side’s game to the next level. Not only that, he’s mobile, athletic, and – although it irks when milked – clever at buying free-kicks. Someone in The Guardian suggested that Europe is over-represented, and South America under. With a 3:1 ratio in the semi-finals (and sides such as Turkey, Russia, and Croatia absent), it’s a point losing justification. On the other hand, if Brazil had a cleverer, calmer tactician at the helm, Cardozo a cooler head, and Argentina a (defensive from the start) Plan B, that point would look incredibly erudite! Two goals conceded in five matches is defensive frailty? You have some high standards! 6 out of 13 European countries progressed through the groupstage. 5 out of 5 South American countries progressed through the groupstage. We can’t even know if the 6th South American country would progress, simply because SA is under-represented. yeah of course they’re brilliant, but as the most defensive midfielder in the team, he has a huge responsibility to reduce their effectiveness. and i simply don’t think he has the necessary strengths to make a blind bit of difference. i watch la liga and i understand his contribution for barca. i also see his contribution for spain, and it’s minimal in comparison with what the alternatives would have to offer. 4 tackles in 5 90 minute matches matches aint a lot. i’m sure spain could have survived without these 4 tackles, and instead fielding a natural wide player. his passing ought to be accurate because most of them are about as simple as ashley cole. i suspect barry’s long passing was far more ambitious/desperate, and that he had significantly less options available. busquets always has an easy ball on, so he’s got to be really confident when he chooses to make a long pass. i’m still waiting to know what his contribution is exactly. lots and lots of 2 yard sideways passes? a decent but safe longer pass every now and again? 0.8 tackles per game? Perhaps Busquets has been the only one in the Spanish midfield who has done his job to perfection up until now? To me it has looked like that anyways. And Steve, the fact that Yaya Toure has been sold by Pep should tell you something. That is if you don’t watch Barcelona play through the league season. Busquets’ long passes has to be passes longer than 5 meters, nothing else could explain those stats since he basically only passes Xabi and Xavi anyways. Jesus, how anyone could talk in favor of Busquets is beyond me. Such an average player. He’s neither good offensively nor defensively, he’s just average. Either field a true defensive midfielder, like Senna who also has great technique, or insert a winger in the team. Alonso CAN cope alone if Spain plays with the same pressure Barcelona plays with. It’s also worth noting that Spain having the ball all the time inflates Busquets’s passing count and deflates his tackle count. Steve, try to watch an entire Barça or Spain match. I recomend you to do not go just for the highlights, they are bad. If you look at the highlights you tend to think that English football is talented. Leave the highlights for the goals of the year or the greatest saves but don’t judge a player based on that. You will be happier following this wise advise. 1 out of the 4 tackles by Busquets gained possession by the way. @reteef: bear in mind that Alonso is playing slightly more offensive role than Busquets. While agreeing with George above, I would also like to see Fabregas starting with both Torres and D. Villa in the formation they started against Paraguay. One problem: Iniesta has no discipline for keeping width. Xavi is not suited to playing with Torres and Iniesta keeps the ball too long. If you look back during the Euro 2008, and even Germany 2006, every time Fabregas came on, Torres played better and scored strikers’ goals. Fabregas, to me is the superior passer of the ball in the final third and his early pass always benefits the strikers. He can also launch long killer passes which Xavi rarely ever attempts. Fabregas sees runners early than anybody else. Also he is a much more of a goal threat than any of the Spain midfielders. I believe if he plays both Torres and Villa would score more goals. The only problem would perhaps be that the midfield would be light weight since both Fabregas and Iniesta are not defensive. My preference would, like ZM has observed, be to drop both Torres and Xabi, but have Fabregas and either of Pedro or Navas on. Could also be that Germany just had the right tactics for their opponents. We’ll know more about that after the next match. And I don’t recall any team having a more spectacular qualifying campaign. They didn’t lose despite playing in the same group as last Euro’s semifinalist Russia. Also, Germany came in second in WC2002, third in 2006 and second in Euro 2008. How much more on the radar do you need to be to get recognized in international football? They struggled against Finland and Wales, and had some fortunate refereeing calls against Russia..
No other participating team struggled or had fortunate refereeing calls? England (with those 4-1, 5-1 wins over Croatia), Netherlands (all games won, 20+ unbeaten streak), Spain (all games won = record points total). of course spain’s narrowness is deliberate. you can see it in every aspect of their tactics, right down to the basic formation that they field. and it’s a big part of the reason why busquets is in the squad — i’ve been very impressed with his first touch and his vision, and that’s exactly what is necessary for tiki taka. nobody complains about barca’s “lack of width,” of course. but that’s largely owing to messi and the players around him who need little time on the ball. i think this is why messi is so brilliant and such a natural fit for barca, and not at all for argentina. as zm noted after yesterday’s match, messi’s runs into space in the final third often found no service, and he had to drop deeper and deeper to get on the ball. this is a problem he never has for barca. that’s not a criticism of maradona, for sure — he simply doesn’t have the players for this sort of game. tevez can’t play it, di maria can’t play it. imagine dropping mascherano into this spain squad — busquets is a much better player for this system. tiki taka is always going to be narrow, is always going to hold the ball for massive portions of the game. if it creates massive numbers of goals (which it so often does for barca), great. then you get messi-like legends. if it doesn’t, oh well — it will ultimately provide enough goals to get by. Then again it might be the lack of an outlet. What if Torres were actually fit? Needless to say that an unfit target player justifies adjusting one’s strategy, but perhaps Spain always relied on being able to switch to plan B, while nurturing Torres? The matches with Spain are as much a result of their opponent’s tactics as Spain’s form. The obvious tactic versus Spain: press hard, stay deep, counterattack. That has been the MO for nearly every side who has seen Spain on the pitch–as well it should be. They are a known quantity who will severely punish you if you give them space and time. Using an analogy, to watch FC Barcelona during La Liga is often a case of patience until the opposition’s compact defense is penetrated and a goal is scored. The sooner, the better, since this will only open the flood gates. The difference is that instead of playing the likes of Tenerife and Xerez, Spain are playing in the World Cup. To be fair, Spain aren’t in their best form, but it’s gotten them to the semifinals. Let’s hope they shift to a higher gear against Germany, something well within their capabilities. Exactly. Both Spain and Netherlands, on the whole, have faced more defensive opponents than Germany has. Had either of them played Australia, England, or Argentina, I’d bet they’d have scored as much as Germany (though they may have allowed more goals scored against them as well). Spain looks better after they score because 1) Torres is off the field, and 2) the opponent can no longer stick with a negative plan. Unless Germany adopts a more defensive approach to Spain, I expect the game with Spain to be much more free flowing, with both sides trading possession and chances. Same goes should Netherlands make it past Uruguay to the Final vs Spain or Germany. Both the Netherlands and Spain, to me, have played rather defensively this world cup, so I fail to see how they would have rattled in more goals than a aggressive German side…. The last thing Germany want to do now is adopt a defensive approach because they do not have the players to play that way. They are set up and coached to move forward quickly, so trying to sit back and soak up the pressure from a team with the quality of Spain just wouldn’t work. I think Germany needs to bring on another winger for Müller and play down the touchlines opening up the space of the game and stretching the midfield of Spain. This should be a very interesting game although I think Germany have had the better warm up, during the world cup to date. It certainly can seem that way, but a lot of this is due to the opposition. If the opposing side is bound and determined to park the bus or similar, as Chelsea did to FCB two seasons ago, for example, then one can only expect a low scoring slugfest. That said nothing about Barcelona’s style of play per se, however. Germany in this WC have been fortunate in having a few matches where sides actually focused on attacking them rather than containing them. What was good about that is we got to see attractive German play, delightful really. Thanks again for the excellent articles. Am very very curious how this all holds up against Germany, though I think fielding this side could be pretty disastrous. They do have the resources though to control the ball, which will be the key. Spain really look like they haven’t clicked yet. With just two more games to go, maybe it is time to make an impressive game and who better against than the building momentum germans. I see this semi as the real final, but maybe Torres needs to start it on the bench with Iniesta and Pedro making sure Lahm is more than occupied. this in the same manner as they did against Argentina?? if the inverted wide players are forced into a crowded middle and germany can break wide they will cause Spain big problems.Spain are favourites to beat germany, i dont see it that way at all. I saw enough on the Spain Portugal game to know that Germanys left is where they can win the game. Surely Spain are going to beat Germany? However Spain keep the ball better, have a better back 4 & keeper and a great DM in Biscuits (Barry isn’t a DM, well not a good one anyway). It be a close game I think. i couldn’t agree more. germany may not have the most talented defenders in the world, but they certainly are disciplined as a squad (just as is paraguay). this seems to be the necessary approach — don’t get yourself drawn into the triangle, force longer passes (specifically, make xavi and/or iniesta to play deeper than they’d like), and stay at home in defense. let them pass it around in front of you, but make sure it’s in front of you. if you do that, eventually spain will have to take risks through the middle, and, much UNLIKE paraguay, the germans can exploit those risks with SUCH quick breaks down the flanks, often with lahm at the helm. spain are certainly a more cohesive squad than argentina. still, i have to see the germans as the favorites in this one. del Bosque is going to keep faith with Fernando Torres, and curiously, Luis Aragones also claims he would start Fernando Torres. The reasoning is that Torres’ central presence up front around the penalty box clears space for David Villa to cut inside and to make incisive runs at defenders. Defenders get confused about whether to pick him up and leave Torres with more space or to hold position and let David Villa run at them. His goal against Honduras was a good example of that…at the end Figueroa was caught in two minds about whether to close him down and leave the space for Torres and David Villa had enough time on the ball to finish comfortably. I think at this point the defense would clearly NOT let Villa run at them. That’s what the Portuguese (who hadn’t conceded a goal until then) and the Paraguayans (only one goal conceded) said. Look how that ended. It ended without Torres on the pitch. The Portuguese and Paraguayans defended Villa pretty well until Torres left, didn’t they? I’m saying the defenders gave him the space and time to score even though he’d been Spain’s most dangerous player. Even if Villa plays with or without Torres, they should still not let him have any time on the ball. ZM, I’m not sure how much width had to do with Spain’s goal. Iniesta’s run was on the tail of a couple passes from the center. He received the ball from left-center, got past a couple Paraguayans, then sent the ball laterally right to Pedro at the top of the box. Spanish attacks from the flanks were employed but most times resulted in corners which themselves were not so effective. Even runs to the goal line with inverted passes into the box didn’t come to more than a corner. I wonder if the problem was the packing of the Paraguayan box. Give those guys a second and they had that box tighter than a can of sardines. On the other hand, you may be right. Iniesta’s run may not have been possible with the back four on a narrow front. The other thing to consider though is the tactical use of dribblers late in a match. Pedro and Cesc are none too bad with the ball at their feet. There may have been 6 fresh Paraguayans starting that game, but there were only 3 substitutes available. I’ve no doubt at that late point in the game, there were 7 significantly tired Paraguayans on the pitch. nice article as usual ZM. The biggest problem for Spain is clearly the lack of width. Both Iniesta and Villa cut inside everytime. Even Sergio Ramos did not look to go on the outside when he was running at the defender. When you have the wing mid-fielders cutting in, the full back should be looking to provide more width. Ramos put in just one decent cross in the whole of the match as far as i saw. I also believe that Torres did not have much support in this match. No one put decent balls into the box for him to attack. Pedro performed really well. He could be the fastest player in the tournament don’t you think. I don’t think Torres does his job off the ball. He looks like he’s not full fitness, and I don’t think he has good teamwork with the playmakers, really. He’s gotten some good balls, but his form just doesn’t look the same. Hi. Can u hope about a semi final preview too? Out of interest, ZM, are you thinking of doing a tactical round up on the innovations seen during the tournament once it’s finished: like a “5 things we’ve learned from the 2010 WC” or “5 ways the WC might change tactics.”? Anyway, keep up the good work and I – like most – can’t wait for the Semi-finals. I can’t help but feel that Spain’s attacking game – based around pressing high up the pitch, getting men forward and holding a high defensive line – could play into the hands of the Germans (who have been ruthless on the counter-attack – but it could go either way. Well, if they have not clicked or if they are merely keeping a low profile in scoring should very much matter when facing the most efficient counter-attacking team of the tournament, should it not? What I find most fascinating is that we are going to witness the clash of 4-2-3-1 employed in styles that vary in nuance only. It could very much mean that the German midfield advantage will finally come undone, if Spain can up their game. Then again denying space to the opposition is something the Mannschaft has done quite exquisitely against Argentina. Is a true holding player the key to midfield dominance or will the roaming DMs set the standard for gaining a foothold in the “danger zone” in 4-2-3-1? Coming to think of this, quite unlike the preferred approach of going wide later in build up, the fullbacks might actually provide the outlet of getting past the midfield line. It just might be that we see Jansen start – and we will most certainly see a lot of Lahm’s ball retention quality. Probably more so than the tactical advantage which can go either way (I actually assume that Löws tailor made game plan could vary quite a bit from the previous fixtures, let alone he has to replace Müller) this time the mental strength of the teams will be the deciding factor. Both have assets to exploit the opposition. Yet both are facing stakes and pressure that could seriously blunt their edges. Under this assumption, taking the lead in this game is by no means a sure win, as I would usually assume for either team. But if Spain does succumb to German pressure at one point, rather than conceding through individual mistakes, I doubt their ability to regroup. I think Spain might be better off if they started with most Barcelona players other than Victor Valdes. That’s my take on it because Barcelona play a similar system to the Spanish national team, and the Iniesta-Xavi-Villa triangle has been creating a lot of goals. The wingers (or outer forwards) can really be anyone as long as they can give the width…Mata, perhaps. I would move iniesta to the left forward spot and put cesc in behind villa and have Pedro be the first guy off the bench when Spain needs a spark. Pedro is perfect for the super-sub role and is an under-rated advantage. Germany will be prepared to stop villa so the forwards will need to inter-change quite a bit and try to cause confusion. I think Spain will have to score at least three goals to win as they always give chances at the back and the German counter-attack and play off of set pieces is clinical and well-orchestrated. Based on current form I see Germany as a clear favorite if Muller was playing. His loss is ridiculous. If Spain is to win they need to play to their potential. I would start Fabregas. Germany have been awful at set pieces so far (with the exception of the 1-0 against Argentinia), usually they play (free)-kick and rush back to defend the counter-attack. It’s completely rubbish that he’s suspended for two yellow cards over what, five matches? FIFA is mental, I tell you. The second yellow card was very, very, very wrong. Football is all about minimizing the effect of chance. But even with the odds in your favor, there’s always luck involved. The impact of chance in football is rather large actually, due to the few goals that tend to be scored. Hence the influx of every freak accident on the overall outcome of the game. It does not matter if you create 10 goal scoring opportunities and deny shots from inside the box through clever positioning, if you get unlucky on the finish and the opposition scores a desperate attempt from 40 yards because your keeper slips on a puddle of mud. If there were no luck in football, the underdog would never win and betting would be futile. Del Bosque has tried hard to effectively utilise the full width of the pitch. Nothing wrong with that in itself, but he’s going about it in the wrong way and it could yet cost Spain. There were a number of times against Paraguay (particularly after Pedro was brought on and started dragging the Paraguayan right-back out of position) that Capdevila found space on Spain’s left and crossed it into the area, where no one was able to get on the end of it. Whether VdelB actually wants the attacking threat to come from the wings, or whether he just wants to stretch teams and create more space for the central playmakers to exploit, he needs to get the personnel right. The continued selection of Xabi Alonso is curious. He’s undoubtedly one of the best long-range passers I’ve ever seen, but the current starting XI doesn’t contain anyone to whom Alonso can play a raking diagonal pass and thereby offer an outlet from midfield. Presumably Alonso keeps his place because Del Bosque knows that every team Spain face will pack the midfield and try to interrupt the rhythm of their passing, and Alonso offers something different to the Barcelona contigent making up the rest of the midfield. Without Llorente, Mata, Navas or possibly Silva on the pitch, however, Alonso is too easily countered by a packed midfield. So far, Spain have progressed in spite of their tactics rather than because of them. It seems like Del Bosque is trying to do too much – capturing the best of the Euro 2008 system while adding further dimensions on top of it. It’ll be fascinating to see how they play against Germany – Villa, occupying the space between full-back and centre-back, could end up drawing Arne Friedrich (a natural right-back) out of position repeatedly, and if Spain manage to exploit the space created then that could make all the difference. Sorry if that was a little incomprehensible, I’m happy to try and clarify/expand on anything if it doesn’t make sense. Alonso is part of a double pivot. Vicente del Bosque said that he decided after the US loss that Spain needs two defensive midfielders to protect the defence — in that game, both Capdevila and Ramos were caught out of position for both US goals. Del Bosque was a defensive midfielder back in his day, and he has said that Busquets is his favourite player. He wants midfielders that can defend as well as create play. He could play with Marchena (who was a DM for Valencia most of the season) and Busquets, but he probably thinks it’s too defensive. This current midfield has the right balance: Spain has the most shots, passes, possession and attacks of all the remaining teams but also has conceded the least number of shots on target. However Spain haven’t made it count: they have only scored 6 goals and have conceded 2 already. Even if Alonso’s passes are cut out, he still contributes defensively — he has made the most number of tackles in the Spanish team. Alonso also has scored the most number of goals after Villa since late 2008.
this current midfield is about as balanced as maradona. it’s also about as talented, which is why those stats are so impressive – not to mention the fact that they’ve played switzerland, honduras, 10 man chile, portugal and paraguay. del bosque is doing really well at getting the very minimum out of spain’s brilliant midfield players. I was talking exclusively of the double pivot. Those two defensive midfielders can break up attacks as well as score and create play. But for the whole midfield to be balanced in a 4-2-3-1, Xavi should be dropped for Fabregas and a winger (Pedro or Navas) should be brought in instead of Iniesta or Torres, but I don’t see that happening. Oooohhh….Drop Xavi for Fabregas! That is one thing which I can frankly say I never thought of. Xavi would be the first man on my Spanish team every match. But that doesn’t mean that it is the right thing. You know..the more I think of it, the more I agree that the balance could really come in with Fabregas playing instead of Xavi. With Alonso in there, Xavi has looked completely unsorted to me. Each time he gets the ball, he is looking to play someone in, but is too far forward on the pitch to be able to switch the play or take out the entire defense. With no Messi and Torres’s not-so-brilliant off the ball movement (atleast in this tournament!) Xavi hasn’t looked incredibly useful. But: drop Xavi+loose the match = go down in history as the stupidest manager ever. In no scenario should Xavi be dropped for Fabregas. Xavi needs to play further down the pitch where he can see the field and assess his options for the incisive pass. Del Bosque is playing him too far up front (precisely because Alonso is eating space in the back), which I think is an absolute waste of Xavi’s capabilities. FR – his point was exactly that Xavi’s capabilities are being wasted where he is playing and that 100% effectiveness from Fabragas is better than 80% effectiveness from Xavi. Even though Xavi is the better player compared to Fabregas, Spain would be better after the change. Not sure if I agree, but it is a interesting thought. In this setup, Capdevila should try to go forward rather than Ramos because (a) he is better at crossing than Ramos (as his assists stats would attest) (b) Navas will provide width on the right but Villa will look to cut in on the left. And Puyol should play out the ball rather than Pique since Puyol’s quicker and equally good if not better on the ball. I really believe this is as balanced as a team can get. It’s got a physical presence in the penalty box who can hold up the ball or go for goal himself, width on the right provided by Navas and the left by Capdevila, Fabregas to make runs into the box and Villa to cut in. Since Villa, Fabregas and Navas have got pace, Spain can look to break on the counter as well. There are also three players (Villa, Fabregas and Alonso) who have topped an assists chart. Navas provides the most assists from crosses in La Liga while Llorente has the most headers. Busquets is great at short passes while there is no one better at long passes than Xabi. All this means no space for Xavi, which sounds probably stupid. As I see it, there is no space for Xavi in a 4-2-3-1. The CAM role he currently plays is too attacking, while Xabi’s CDM position is too defensive. But since Xavi has to play, a 4-3-3 (a midfield of Xabi, Busquets, Xavi OR Martinez, Xavi, Busquets since Xabi treads on Xavi’s toes a bit too much) or a 4-5-1 is better than a 4-2-3-1. I am not suggesting that Fabregas is better than Xavi, lest you see it that way. All I am suggesting is that Xavi is being wasted by the dual presence of Xabi and Busquets, and if Del Bosque insists on the 2 in front of his defense line, then perhaps Fabregas might be more useful for the formation. It is all academic of course. That is never going to happen, unless Xavi gets injured and it’s forced upon Del Bosque. Alonso’s long-range passing is useful for a team which occupies wide areas; Spain channelize everything through the centre. I agree, but I think Del Bosque wants his team to use wider areas more effectively; it’s his implementation that’s at fault. If Navas or Mata played then it would be more effective, as not only would Alonso have more options in terms of passing, but also the opposition defence would be stretched on one side, allowing players like Villa and Iniesta to operate in the space created. Spain do indeed move the ball principally through the centre, but they’re not creating space high enough up the field. Iniesta in particular has suffered as a result: against Paraguay, Pedro’s introduction changed the game, as he occupied the space between the right-back and centre-back, allowing Villa to move more central, and Iniesta to use the space in front of the defence. All three combined for the goal. I would do this against Germany. Torres and Alonso should be off for Pedro and Fabregas. Fabregas’ passing ability with Iniesta and Xavi will allow Spain to keep possession and at the same time allow for Fabregas’ driving runs into the Germans defense which will be stretched with Pedro’s inclusion on the right. Mueller will not be playing, which works to Spain’s advantage. And since the Germans love to counter attack from the left, Pedro on the left will prevent Ramos running forward and will force him to be more responsible defensively. Spot on. I think using this sort of shape is the only way Spain wins. Only I would represent Iniesta and Pedro as being more level with Cesc within the same band (and Pedro can play even higher, given he is an outside-forward). Disclosure: My allegiances lie with Barcelona, but even on Madridista forums most merengue-inclined Spain fans believe that these very players will help them bloody win the WC and to hell with politics;in fact, many of them feel their respect for Del Bosque is lessened by what they perceive as his tokenist gestures to ‘include all Spains” by picking certain non-Barcelona players. With Silva, Iniesta, Cesc, Xavi and Busquets/Alonso – Spain will have no width at all as all of them are similar players. What more can the Germans ask for? The Germans love to hit teams on the counter using the flanks. how xavi and busquet will cope against the in form khedira and Schweini?? with busquet will probably busy picking up ozil, there just only xavi left to battle with the two german batteries in the center of the field. they’ll be run-ragged by the Germans. —Xavi——-Fabregas-> Deal with the german midfield duo, start the attack! how dou u think guys? Mata over Iniesta? Really? I know we need more width, but you rather have Cesc in the midfield than Iniesta too? Mata over Iniesta – I think the width Pedro brings is enough. Secondly, its a big game, I think Iniesta’s experience and composure cannot be sidelined. Del Bosque cannot afford to try a player like Mata in such a match – semi-final. With this formation – Pedro will bring the width necessary on the right allowing Fabregas to run directly into the Germans Defense. Iniesta on the left will be allowed to cut in. On top of that, Iniesta has been one of Spain’s top performers in the tournament so we cannot afford putting him on the bench. I really hope Del Bosque uses this formation. I am wondering about all this willingness to completely shuffle a side around between games. Surely there is some experience required in klicking as a team? You can practice all you want, but handing out completely different assignments and positions to players who have been playing in a rather stable setup thus far is still a huge gamble. So the benefits must be huge and the game plan must have been thought out long in advance to resort to such drastic change ups. I really doubt to see something like that outside of club sides. As much as I’d fathom the thought of a German side trying something spectacular like playing with inverted wingers and have three powerful finishers in Kroos, Özil and Podolski link up with Klose and overlapping full backs Jansen and Lahm, providing perhaps the most tangible scoring threat conceivable for any side in the tournament – I just don’t see it happening. For good reason, because the positional awareness that has been built throughout the tournament would be shattered. Spain cannot start Torres again and hope for the best against Germany. They must bring it from the opening whistle. Spain’s entire midfield four will have to work like hell to get the ball into scoring positions, and they will not succeed if they don’t create some width. That narrow midfield “box” they have fallen into will get shredded by Schweinsteiger and Khedira. One German pass out of this scrum to Oezil or a forward-moving Lahm, and Spain will be crushed. I have a feeling that Del Bosque is playing Torres from the start because of his recent injury problems. Having him come off the bench cold could very well make him more likely to re-injure himself and he may feel that since he wants to give Torres significant minutes either way, it’s best to allow him a more proper warm-up and if he provides a moment of brilliance before he goes off, so be it. Spain have not looked entirely convincing until they have gotten their first goal, although after that they have controlled play expertly. I think it would be better if Spain did the opposite of what they’re doing now. Stick Villa on the left with Iniesta on the right with Torres or Llorente upfront as a focal point then with Fabregas being the player who makes runs from midfield which I don’t think Alonso or Xavi do enough, if at all. I would then have Xavi and Busquets on a pivot infront of the defense. Then when/if Spain do get a goal they can bring on Alonso for Fabregas and keep possession for the rest of the game, because against Germany I think that almost all of Germany’s players will be well disciplined enough to be able to withstand Spains tiki-taka. Also on the whole Busquets situation at the start of the comments, am I right in thinking that although Busquets does almost nothing in the final third he basically allows the rest of the midfield to attack whilst they know he can brake up the play and will always be there to provide an outlet if Spain decide to bring the ball back. I honestly dont get the under-appreciation of busi, but even leaving that aside, far more perplexing to me has been seeing alonso in positions that xavi should be in, but i dont see people attacking alonso for preventing xavi from doing the job he was born to do. Regardless of whether alonso can make brilliant long passes or distance shots, if he is taking away from xavi’s game, with all respect to him and his qualities(i really think hes fantastic player), something is wrong.Say what you want about busi but one thing no one can accuse him of is limiting xavi, he frees him up to do his thing- dictate the game.Not only that but i see few players around that can initiate a one touch passing game under pressure like busi. Along with his interceptions, pressing and mobility , its clear that if used right busi is vital to the team and even now playing in an unbalanced midfield he has done his job excellently.I suspect that when it becomes impossible to ignore his excellence, like Xavi and Don Andres before him, those who doubted him and didnt see his worth will be the ones claiming to have known it “forever”. Busquets’ defensive presence + Xavi dropping deeper to organise = Alonso redundant (as much as I love his game within context of certain formation and personel accompanying him). hope he does develop into an excellent player, and if he could become slightly less of an outrageous cheat in the process that would be great too. In regards to Busquets: He’s got those long legs that create contact and has some outstanding footwork. He’s been disciplined enough not too risk any dangerous through balls when the teams play eleven behind the ball (unlike a certain new Man City midfielder). He does a great job breaking up opponents passing moves when they’re on the ground. More importantly, Busquets does a good job of stopping counter attacks. Look at the match against Portugal and the way he stopped Ronaldo’s counters on Spain’s right side. Speaking of Spain’s right side, Sergi also covers Sergio Ramos’s side well when he makes those great runs forward. Just wondering whether there is an element of PC-gesture politics in Del Bosque’s insistence on starting Alonso + Torres. The guy doesn’t have a sectarian bone in his body I’m sure, but can he really summon up the courage to start with a front six of Barcelona-based/reared players (as per ZM’s third and final photo above). Doesn’t it make sense? Italy won the 1982 Cup by largely fielding a Juventus side. Barcelona are the most successful practitioners of a style which is similar to tiki-taka (caveat: Barcelona play with a higher tempo and more aggressive pressing), so why not exploit this? Interesting theory, especially re: Alonso. Not often can you appease both the madrilenos and the Basques with the same person! Maybe it’s not just Barca…play Cesc instead of Alonso and you have six Catalans in the 11. In Italy it at would at most lead to fan problems in Olympico. In Spain… we don’t want the tragedy in 1936. Don’t you think Jesus Navas should play? He has been excellent as a sub, and provides a shitload of width (he is pretty much a traditional winger). And maybe a constant Llorente presence in the German box could cause panic in the German central defence? Teams are not used to Spain using height. Plus it could give Villa some more breathing space on the left. (as opposed to an ineffective Torres). Navas was horrendous in his first and only appearance this tournament. He provides width, but no accuracy crossing, and no ability to take on his man. So, in conclusion Spain are better off congesting the midfield and waiting for the opportunity to play the killer through pass. His inconsistency in crossing may have something to do with his homesickness. For Sevilla, he plays much better than this. He has had the most assists from crosses in La Liga for a few seasons now. And btw, Navas started in the second game instead of Iniesta against Honduras, and assisted Villa for the second goal. - Even though everyone see Torres is lacking, Del Bosque will get a lot of heat if Spain loses without Torres. - Because Torres is brilliant, and brilliant players can always have a touch of genius even when they are at their lowest in terms of condition. In a competition like the WC, a single inspiration could very well be the difference between winning and losing. Of course, no one knows if fielding Torres and playing with 10,5 players is worth it yet. - Torres is maybe not Spain best option now because of his recent injury, but he is still the future. Del Bosque is maybe trying to not break his confidence? Anyway, I share ZM indecision on the subject of Spain: they obviously have a lots of weak points, they are not making it easy on themselves with Torres playing and decent sides were able to break them down in the long run (Switzerland, even though winning by closing shop against Spain is a desperate bet) or to disrupt them pretty heavily at the beginning of the game (Chile, Paraguay) through pressing. Still they’re in the semis, and look in almost complete control once they scored. Looking forward to that game! long time reader, 1st time poster. Good analysis as always. As far as offense goes, Llorente and Pedro/Navas should prove tough for the germans. Pedro can run up and down and give Germany tough defense a lot of headache. I would like to see Spain/Holland final, but I do not think Spain will go through the finals. About torres, am I wrong? or Torres seem little overrated especially after his injury. If this world cup proves one thing is that players in the EPL (where physical game rules) have not fared well playing globaly. Torres is a useful weapon to have if Germany press high up the pitch. His ability to get behind defences will be better served here than against sides that sit back. However, it’s looking less likely that he’ll start which indicates Spain’s gameplay will be about patient probing in front of Germany’s back 4. I think this style of football is easy for Germany to combat if they keep their concentration and shape, something they’ve managed reasonably well this tournament. The difference between Spain and Barca is that Messi breaks through any tackle and inevitably melts the opponent’s defensive structure. I can’t see the same incisiveness on Spain’s team and I feel Germany have the upper hand, especially since Spain have given up a good chance in every game so far. Somehow, if Spain can completely deny Germany the ball, with upwards of 65% possession, their chances of victory rise dramatically. It has a two-fold effect of keeping the game tight and allowing them to exploit Germany’s late-game tiredness by bringing on wingers/Torres. The man holding all the cards is Del Bosque but he’s shown a curious reluctance to utilize Spain’s enviable depth. Will this be the game he finally pays for his caution? Oh and ZM, excellent site! A great source of knowledge on football tactics. One of a kind really. Keep up the work! Nice article once again, but I have to point out that Cardozo isn’t really that reliable from the spot. He actually screwed up quite an amount of penalties during last season – a detail forgotten mainly because Benfica was winning those matches anyway with ease. the solution could be a change in silva by torres? I don’t understand how come Silva has been overlooked by Del Bosque in this tournament. Maybe he isn’t all he is cracked up to be by the Spanish press. But, he provides width, has got the vision and touch for a deft pass and move system, and on a good day provides support for the front striker. 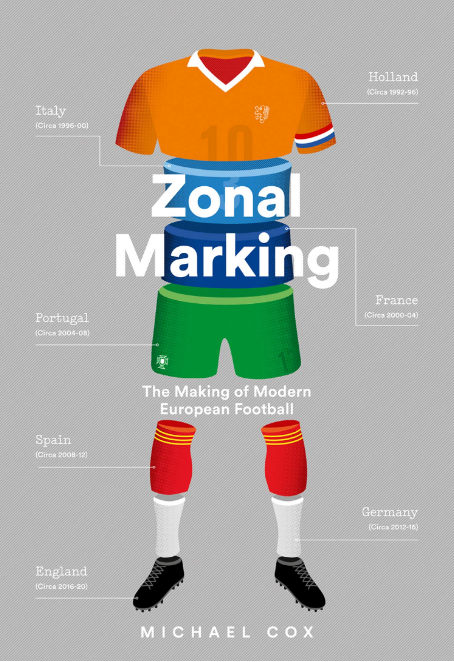 Great site and great analysis ZM, I’m so glad I found this in time for the world cup. 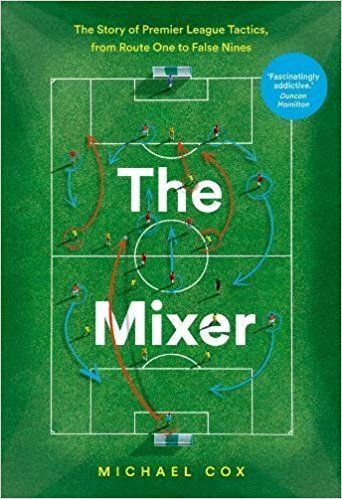 I’d been looking for something that analyses football with more depth after reading Inverting the Pyramid by Jonathan Wilson (I recommended it! It seems to me that dropping Busquets would be a big mistake espcially when you consider Ozil’s influence in Germany’s previous games. Playing two men in front of the back four could be the right way to play against Germany, the last team that did it were Serbia who won the game (albeit against a 10 man Germany). If they play like this the key will be to keeping Lahm occupied and how Spain will defend against Germany’s width. With both Iniesta and Villa coming inside this could be a problem. The performance of Ramos and Lahm on the day could become very important. Marchena in the side to man-mark oezil, leaving pique+puyol to concentrate on klose. Alonso tracks the runs of khedira. Xavi puts pressure on Schweinsteiger, like he did against carrick in 2009 CL final. Iniesta has license to come inside, and villa can drift left and come deep. For a start you~re comparing a crude, rustic centre-back with Busquets; you really think that Marchena can rapidly string some short passesa together with Xavi and Iniesta whilst two opponents are closing him down? Marchena is so slow and techincially limited its inbelievable. He doesn~t have the pace to track Oezil. Unai Emery’s occassional fielding of him alongside Albelda for Valencia (like in the game versus Madrid) contributed directly to Valencia´s defeat; it was suicide since their passing was so poor, they became a broken team with Villa Silva and Amta stranded up the pitch. FYI, for the few minutes Marchena has been on in the WC, he has ran faster than Busquets has according to stats from fifa.com but they both are still slower than any of the other players. So neither Busquets nor Marchena will be able to keep up with Ozil. But in Busquet’s defence, I have to say that he had no problems dealing with Cristiano Ronaldo. The honest truth is that Marchena is a better option defensively but Busuqets is a better option for Spain’s possession based play. And Javi Martinez (a playmaker at club level) or Piquenbaur is a better option if you are looking for technical and attacking ability who are also strong. And if you want someone who can keep pace with Ozil and the others, look no further than Sergio Ramos who has experience playing DM at club level. i’m well aware of you’re disdain for technically limited DMs. but the priority, especially against germany, is for that DM to be able to defend. i disagree with you’re assessment of marchena, he is comfortable on the ball. but that is secondary. most importantly, he is strong, good in the tackle and in the air, and he reads the game well. as for him not being as quick as oezil, he doesn’t have to be – his defensive anticipation and nous is so much greater than that of busquets, who, as David says, is not quick himself. marchena is likely to track oezil’s runs much better. offensive wise, marchena could drop into defence to form a back three in possession, similar to gilberto silva for brazil, with pique and puyol pushing wide, and capdevilla and ramos pushing forward as wing-backs with less risk in behind when they do. then, spain have a midfield trio of alonso, xavi alongside him, and iniesta ahead. i hardly think spain’s possession football is going to suffer with that trio (with xavi in a more natural deeper role) plus the wing-backs providing width, villa dropping deep or drifting left, and pedro making darting out-to-in runs from the right. This is my $0.02 analysis of Spain. I thought that Spain started with a slightly different set-up on this occasion, with Iniesta playing a false nine role and looking to create problems by dribbling through the middle or making runs into the box from deep. I have a feeling that Torres was preferred over the other options on the bench because of his reputation and the fear he strikes in his opponents, even though he isn’t quite on form… yet. With him playing wide right and drifting in centrally, he easily occupies 1 center-back and a full-back. The same for Villa on the left, but with an increased degree of danger of course. Despite the missed penalties and drama at both ends of the pitch, I felt that the game was won and lost on substitutions. Vincente del Bosque made the better substitutions and this is my explanation. Fabregas for Torres. Torres had about 60 minutes of effective running in him (as usual in this tournament) and it was time for him to depart for another team-mate. At this point, Iniesta was being picked up by the center-backs with ease and Xavi was stifled by Paraguay’s tough midfield duo. With this substitution, Iniesta took his place on the right and Villa shifted centrally. Fabregas filled in on the left, and due to his play-making instincts, looked to drop deep to receive balls too. Pedro for Xabi. With another forward on, Fabregas went back into midfield, taking Xavi’s position, who in turn took on Alonso’s responsibilities. This created a Spanish overload in the middle of the park, The combination of Villa-Fabregas-Xavi, not forgetting the frequent help from Iniesta, was too much for Paraguay’s midfield two and center-backs. I have noticed that although Paraguay’s midfield played very narrow, the wide players were tasked to assist the fullbacks. This is where the game was lost. Instead of bringing a defensive midfielder on for a wide player to compensate for the overload, Paraguay did like-for-like substitutions. A right midfielder for another right midfielder, and also an advanced forward for another one. I have to say though that the Santa Cruz change was understandable as Valdez was prolly getting tired defending from the front. All these led to the winning goal by David Villa. there are something numbers don’t tell. busquets has been playing alongside the barca midfielders for so long now(also he grew up in la masia). he knows the barca rhythm and positioning better than alonso. alonso alone played good and didn’t much wrong on his own. however he failed to enhance the fluidity of spainish midfield. alonso’s presence had dramatically reduced xavi from his full functionality by taking over a lot of his jobs. therefore the rest players on the pitch, noticeably mainly from Barcelona, were not used to have alonso playing as their brain. another issue of this spainish team is Torres. in the Portugal game Llorente proved to be better as a central forward than torres. torres didn’t even tried hard to stand in the midfield in that game to act like a central forward. (statistically he was mainly on the right side of the box) llorente was better holding the ball in the box having his back towards the goal hence spain could have possession much higher up on the pitch. Casillas is the captain of the squad, and undroppable. The back four chooses itself, although it’s looked a bit shaky/nervous at times in the tournament. In midfield, Barca’s fluid partnership of Xavi and Busquets (who will need to do a man-marking job on Ozil), plus the experience, solidarity and range passing of Xabi Alonso. Fabregas playing as a false nine this time round while Iniesta provides the width from the right. Villa in the role he does so well, drifting in from the left and working the channel. Due to the natural instincts of the players, I expect Fabregas to drop deep at times to collect the ball. This is wonderful, because “Swine” and Khedira would be overloaded and overworked; Spain would enjoy plenty of possession with neat triangle passing. Iniesta would look to exploit and fill the space left by Fabregas. Ramos, true to his style, would charge up the field and overlap Iniesta – he loves doing that – which could be beneficial or detrimental to the team, depending on how you see it. All 4 of Germany’s defenders would be occupied. The 2 sitting midfielders would be overloaded. Busquets/Alonso would be free to cover and sweep up any danger which comes their way, besides keeping a tight rein on Ozil, which would be Busquets’ primary task. With the suspension of wonderboy Muller, Capevilla would have a slightly easier job against whoever comes in. Pique and Puyol should have enough understanding and chemistry between them to keep Klose quiet. I expect a 60% ball possession for Spain at least. Germany to play on the counter attack. Ozil to be forced deep to receive the ball and to help the struggling midfield. Lahm and whoever is the other full-back (looks like Boateng) to stick to their posts. a) replace Ramos with Arbeloa (he’s comfortable at right full). b) keep Alonso as overlap for Ramos. The advantage with (a) and (c) is it makes Alonso moot, allowing for more creativity in midfield via Fabregas or Silva or Pedro. If option (b) is put in place, then Alonso needs to understand he’s the overlap for the back line essentially (he doesn’t need to do Xavi’s job). With this understanding anyone from the back four could take the ball up a couple lines to screw with German tactical arrangements. Since anyone of Capdevila, Puyol, Pique and Ramos are comfortable in the attack, it could be interesting. I think this is the most likely lineup and I don’t like it. There’s a lot of ball possession here but it’s going nowhere. Spanish catenaccio if you like. You’re relying exclusively on Ramos and Capdevila to create overloads and giving too much room for a simple out-ball to either Podolski or Trochowski. There’s also the danger of a simple ball over Alonso and Busquets leaving Germany with a 3 on 2 against Pique and Puyol. As Roberticus and Carvalho said, it’s time for Del Bosque to unleash the Catalan contingent. Play Pedro and Fabregas and try to dominate the Germans from kickoff. I would not take Trochowski for granted as replacement for Müller. Depending on the game plan there are several alternatives, but for a mere substitution of müllers role I find Kroos to be the most likely candidate, as he is much quicker in turning and advancing the play further, while being very comfortable in switching positions with Özil, whereas Trochowski tends to slow down the passing game in transitional build up. This is assuming that Cacao is still hurt and Khedira fit to play though. I get your point for Spain to play like Barca. But I’m really uncomfortable with it at the international stage. Secondly, the Barca style isn’t as flawless as it appears to be. Any good counter-attacking team with great discipline and ample experience has a decent shot at upsetting the Spanish giant. Germany certainly has the means to do that. Admittedly lacking in a bit of experience, they have the excellent mutual understanding in the squad to bang a couple of goals past Spain without them even knowing it. Think: Inter Milan in the 1st leg of the CL semi-final. In modern football, too many good nations around these days have evolved into formidable counter-attacking outfits. Brazil, Portugal and Germany being some of them. Holland looks to dictate the tempo against weaker opposition but they’re to a certain extent, very reliant on counter-attacking too, especially when a goal up. The common ground you see in these sides? 1 anchorman, plus another defensive midfielder with more attacking freedom. Gilberto/Melo. Pepe/Raul Meireles. Nigel de Jong/Mark van Bommel. Spain, along with Argentina, is one of the big guns still sticking to possession football. Credit has to be given to them. Oppositions have become so hard to break down, full-backs bombing forward to provide overloads on the flanks has become a vital part of the game for them. Example: Maicon, when Brazil was playing possession football against a much weaker North Korean team. With tactics evolving to the recent trend of 4-3-3 or 4-2-3-1, in order to remain playing in this manner, you MUST have 2 slightly more defensive players in the midfield engine room to compensate for the movements and plays of the others. Thus, Fabregas, in my opinion, can only be used as a replacement for the “undroppable” Xavi. Otherwise, he has to make do with playing as a false nine, or wide player drifting in centrally plus dropping deep to receive balls. Pedro, as much as people want to see him in the squad, only has space for him on the 2 wide forward positions. Now, 2 of Torres, Iniesta and Villa (of course) would be taking up the 2 spots out wide. How can we afford to fit an inexperienced Pedro into the team then? I still feel Pedro is more of an impact sub. Fabregas, on the other hand, is an established talent, and can be brought into the starting line-up for the unsharp Torres in big games, or Alonso in games against weaker oppositions (where 2 defensive mids is overkill), and lastly, for Iniesta if he picks up an injury. Cannot understand why we didn’t see Fernando Llorente at any point in the game, he would have forced paraguay (or any other team) to press the wider areas to prevent cross giving the space required for the central players. also leave out one of the four midfielders for either Predo or Navas as all of the current players play so close together. i think that Germany will beat them. It does alarm me that VDB is so inflexible, I can see no reason why Torres is still starting, he’s not even trying out there let alone performing. Whereas Alonso just doesn’t fit into this side, he plays too many wasteful long balls to no one instead of the easy short pass to the open player. Being in England has clearly altered his mentality because he’s tries too many low percentage hero passes rather than keeping the ball in the Spanish way. It should be two of Fabregas, Silva, or Llorente brought in for the two of them, but they are VDB’s favourites so I know here is no way he will drop them. It’s concerning that he lets favouritism influence his selections so much. Villa threats down the left well, but he isn’t exactly like the Henry 08/09. That Henry played at times as a pure Winger and crossed a lot, while this Villa never really adds width. Pedro being double footed is a great attribute I think. Defenders often try to close you down to your weaker foot, but that is impossible when coming up against Pedro. He is equally comfortable driving down the wing and crossing as he is cutting in and shooting. He can add a lot going down the right. Not to mention that he adds some much needed speed, which he can use to get past the slow German defenders. Villa on the left can stop Lahm from attacking or he can take advantage of the space given while Lahm is attacking. Llorente isn’t going to win many headers against Mertesacker, and Villa isn’t quite fast enough to trouble the opponent’s CBs too much, so Spain might as well start Torres as even though he is way off the pace, he still is much faster than Villa or Llorente. Navas and Llorente come on as super-subs to completely change the dynamic of the game. I don’t know too much, so please don’t criticize . So why doenst germany play a 433? they have three midfielders and three real strikers with müller podolski and klose. If you call it 4231 or 433 doesnt really make a difference. Could the narrowness of the Spanish midfield be a strategy to narrow the defense and so creating space in other areas? When the Spanish have their rectangle in midfield, the other team is forced to put more men into that area. Otherwise they would have no chance to get the ball. To me the Spanish game looks like they are playing accordion with the opponent’s defense. The octupus has spoken! The octupus has spoken! Spain will win. ZM, you can shut up shop and go home. I think you could get paid to do this, ZM. You ought to look into it. I, for one, would love it if one day you live-blogged a game like the NY Times does. I’m still having difficulty detecting the shape of a team from the TV screen. And the British announcers on ESPN here in America really don’t discuss the tactics of a game. I’m not sure why this is. I just watched the NBA Finals, and the announcers there do a pretty good job of weaving the X’s and O’s into their commentary, and highlighting the strategic approaches at different junctures in the game. Yet the soccer announcers stick largely to generalities. Do they not know the tactics, or are they holding back because they are worried about losing their audience? It’s not just British announces. I’m pretty confident most commentators are not well versed in terms of tactics. What’s even worse, sometimes those commentatos are managers and it’s terrible how little tactical insight they bring. It could be both. Some don’t know tactics well and those who do might feel they’ll go over the heads of the audience. I saw yesterday on Eurosport Patrick Kluyvert stating that Germany plays 4-3-3. lol I wonder if they even watch the games. As I see, Germany plays 4-2-3-1 (or 4-5-1 as three band). Most evident when a disposessed Germany collapses into two banks of four, with Özil zipping in and out and Klose applying pressure from behind.